Please join the doctors and staff at the Haskell County Animal Hospital for a meet and greet of our new veterinarian Dr. Becky Leggett. Dr. Becky was raised in Satanta and attended the University of Missouri’s school of veterinary medicine. Our meet and greet will be Thursday, August 14 at 11:30. Refreshments will be served as well as a drawing for a free wellness check on your dog or cat. Sublette Chamber Ribbon Cutting at 11:30am! Sublette Chamber Ribbon Cutting at 10am! Buy a regular 6-inch sub and a 21 oz drink and get another regular 6 inch of equal or lesser value FREE! 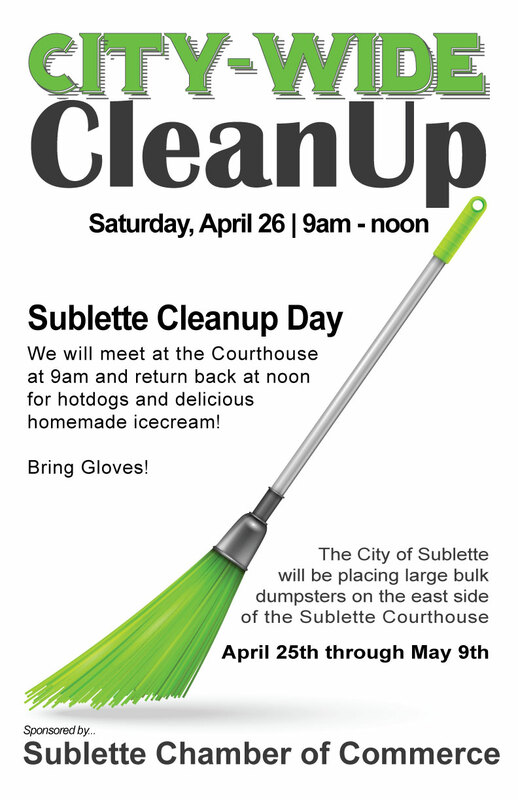 We will meet at the Courthouse at 9am and return back at noon for hotdogs and delicious homemade ice-cream! Light snacks will be served! 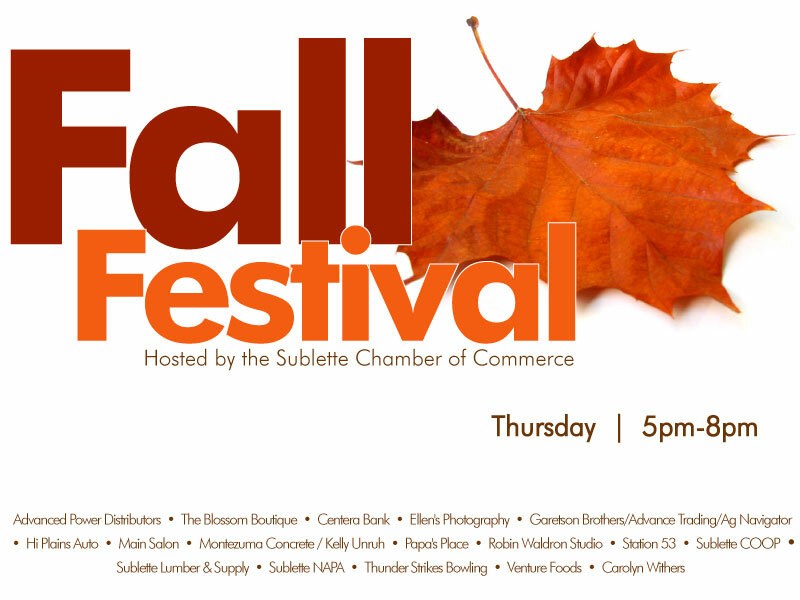 Sublette Fall Festival THIS Thursday! An evening filled with fun, refreshments, and prizes! Even more participating businesses than last year….learn more about what our little town has to offer! Ribbon Cutting on October 1 at 11am at U Pump It (formerly known as Stockade Plaza).